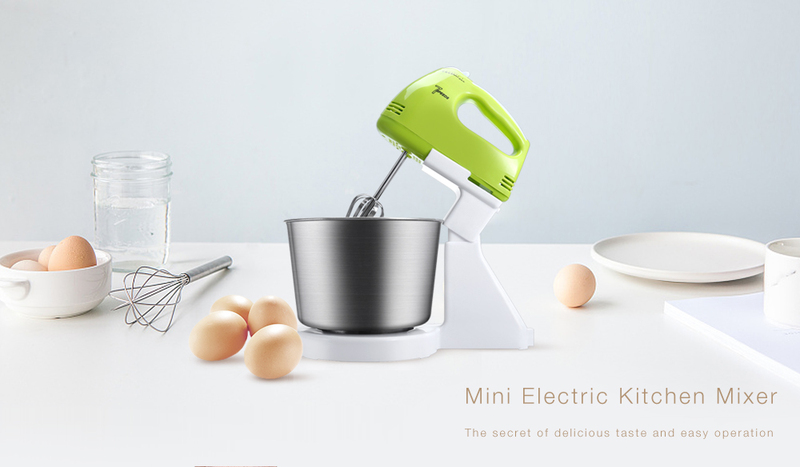 This Mini Kitchen Mixer is the ultimate appliance for baking lovers, which can stand or mix by hands, so you are free to choose the mixing way you like. 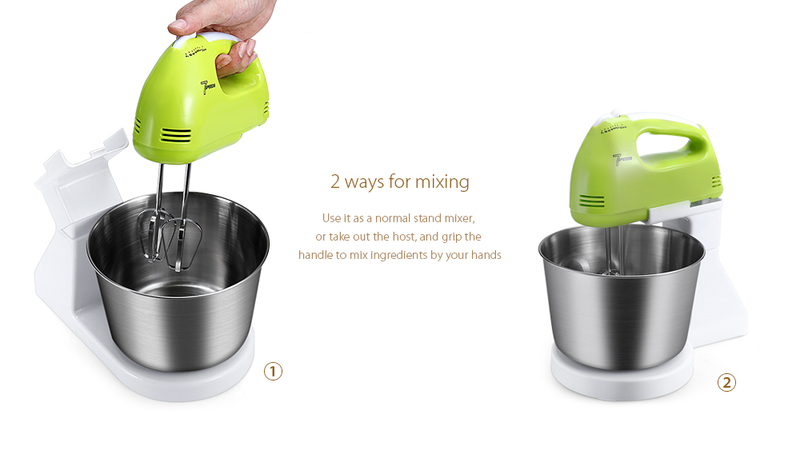 The Hand Whisk offers powerful functionality at your fingertips with its ergonomic handle and dual mixing heads. 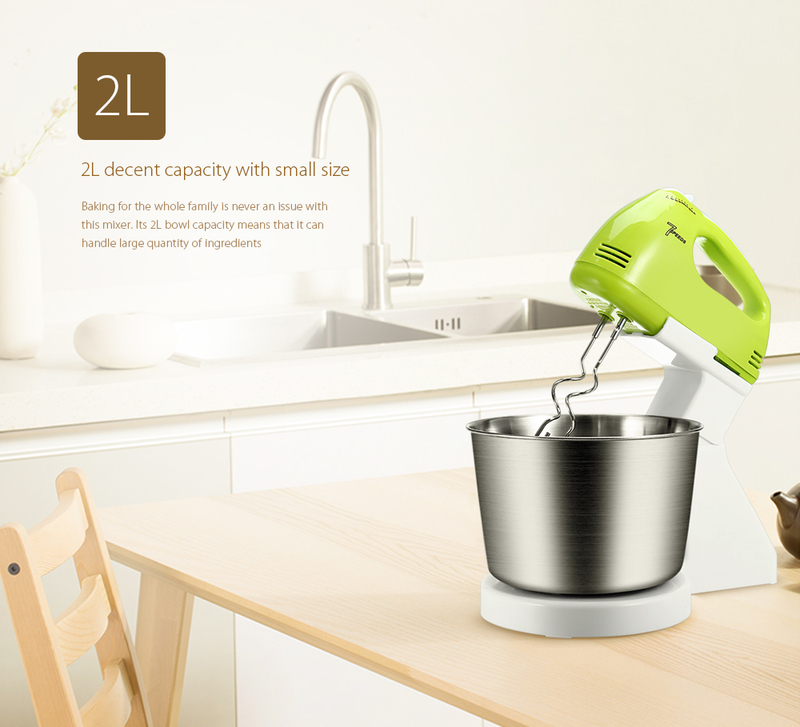 The impressive 180W Motor can effortlessly whisk, mix and knead your ingredients for baking, and you can easily tackle tough jobs with confidence with a 2L non-stick stainless steel bowl. The 7 speed settings, allow you to set the right speed for kneading dough or whipping cream. 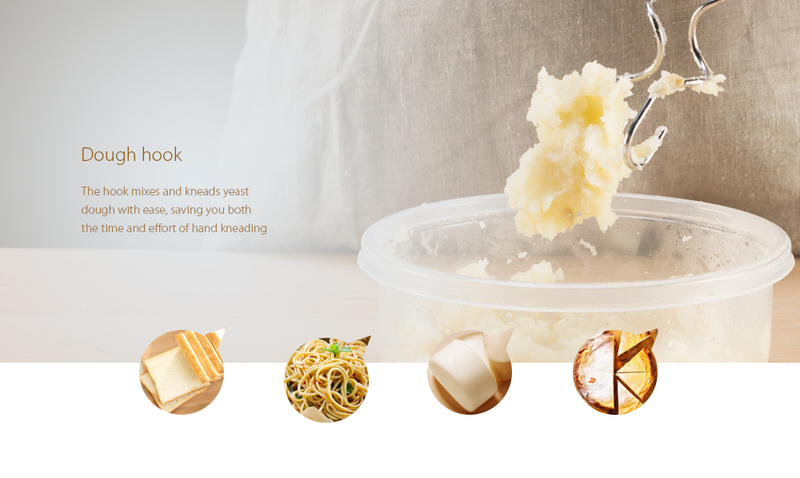 The Hand Whisk comes with 2 kinds of components that allow you to do a variety of cooking techniques. 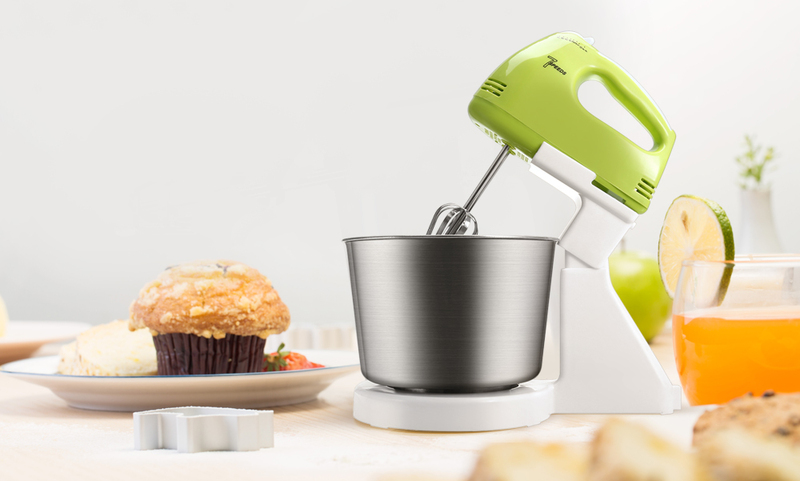 The durable Dough Hooks make mixing dough and heavier cake mixes easy. The Beaters are perfect for whisking egg whites, creaming ingredients and for light cake mixtures or batters.